The BMW G 310 R is the entry-level roadster to the world of BMW Motorrad. 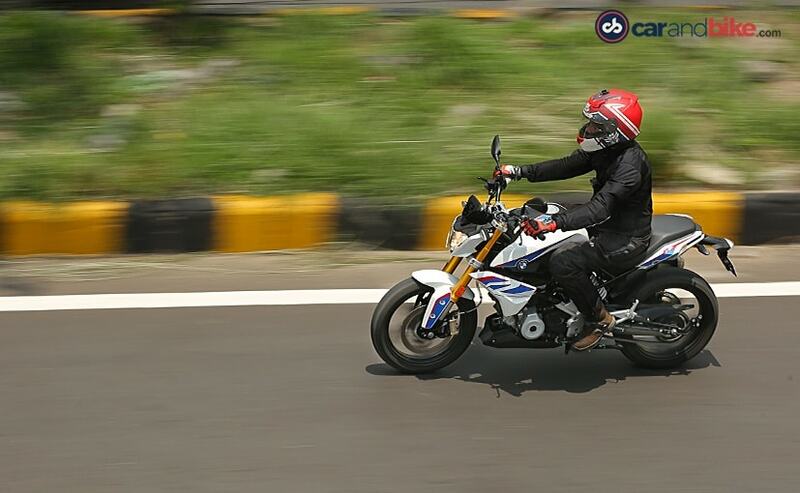 It's made in India, and we finally get to spend some time with the new G310R. 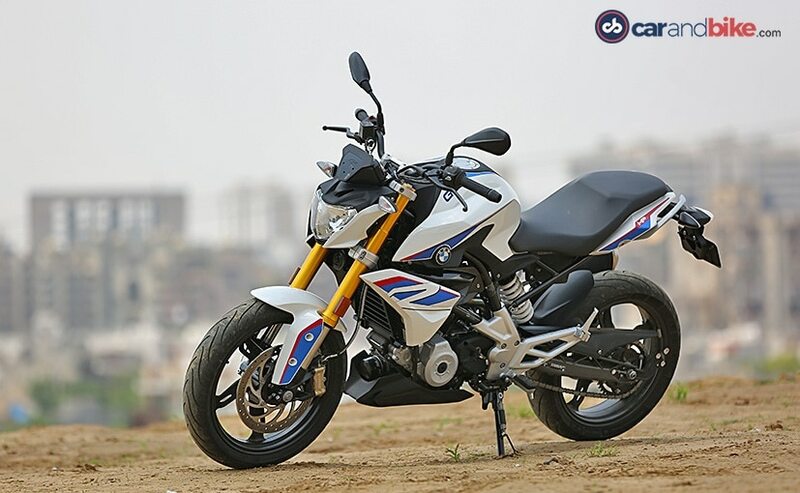 The BMW G 310 R is the first production BMW motorcycle to be made outside Germany. Yes, it's made in India, by TVS Motor Company, under the BMW Motorrad-TVS agreement. And now, the G310R is finally on sale in India, even though it has been available for over a year now in markets abroad. 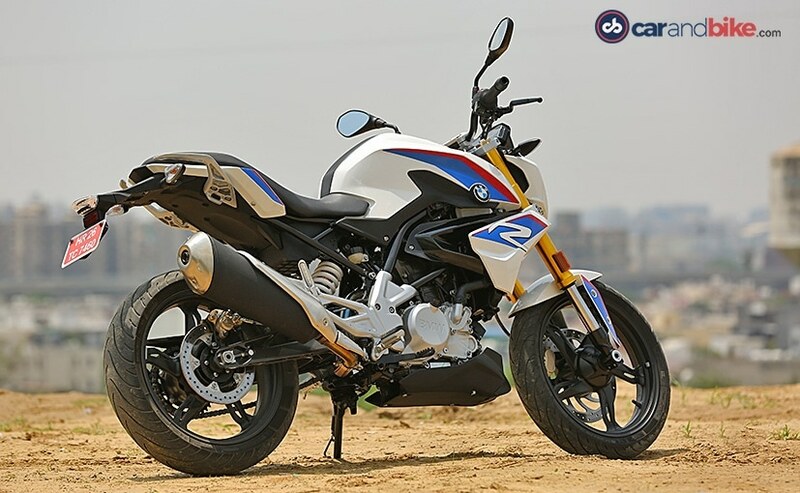 In a way, the BMW G310R breaks new ground for BMW Motorrad, trying to tap into a completely new segment of motorcycles, not just in India, but even in emerging and rapidly growing motorcycle markets abroad. It's a BMW for sure, only smaller, more compact and the first motorcycle from the German brand below 500 cc. Well-proportioned, yet sleek, understated, yet stylish, the G310R has a very likeable appearance, and it's commendable in the way the bike looks, even when you get up close and take a look at the details. The Pearl White Metallic shade of our test bike looks elegant, and sporty, with the BMW Motorsport colours, and the bike does stand out with extremely good build quality and excellent fit and finish. 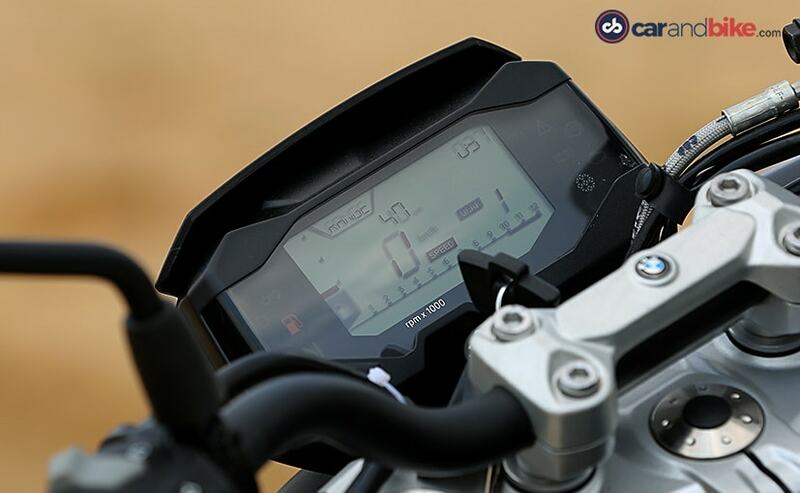 The white headlight and radiator cowls, gold-anodised upside down front fork, the belly pan, and an informative digital dash leave little to complain about, although a full-colour TFT panel is missed. Also missed are LEDs, on the headlight and the indicators, although the tail light is LED. The sharp and sleek tail end certainly complements the overall dimensions and sporty appearance of the G 310 R, and together with the upswept exhaust, it completes the handsome proportions. 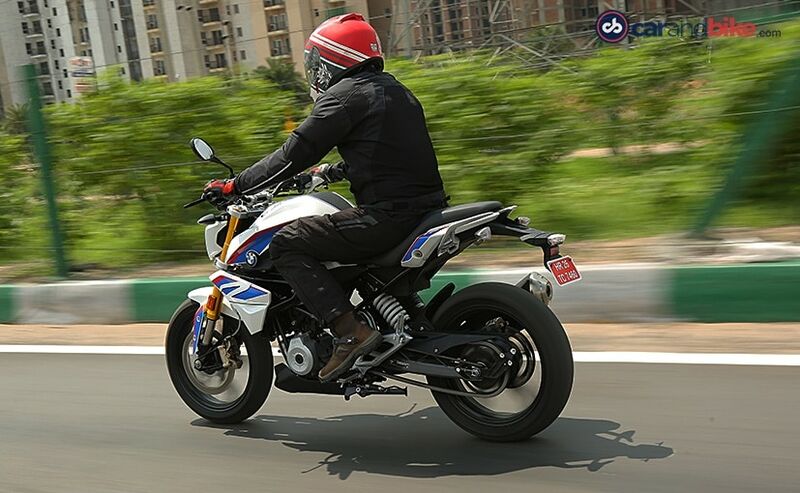 If it's quality you're looking for, you won't be disappointed with the BMW G 310 R.
On the move, the G 310 R's performance is familiar, since it shares its engine and chassis with the TVS Apache RR 310, but it's still a little different. That's because the G 310 R's ECU is different, and there's a lot less body weight than the TVS. For comparison, the Apache RR 310 weighs 170 kg, and it makes almost the same power and torque as the BMW, but at marginally higher revs. The 313 cc single-cylinder, liquid-cooled engine is tuned to make 34 bhp at 9,500 rpm and 28 Nm of peak torque at 7,500 rpm on the G 310 R and it weighs 158.5 kg, and that makes quite a bit of difference in the way the bike behaves and feels on the move. 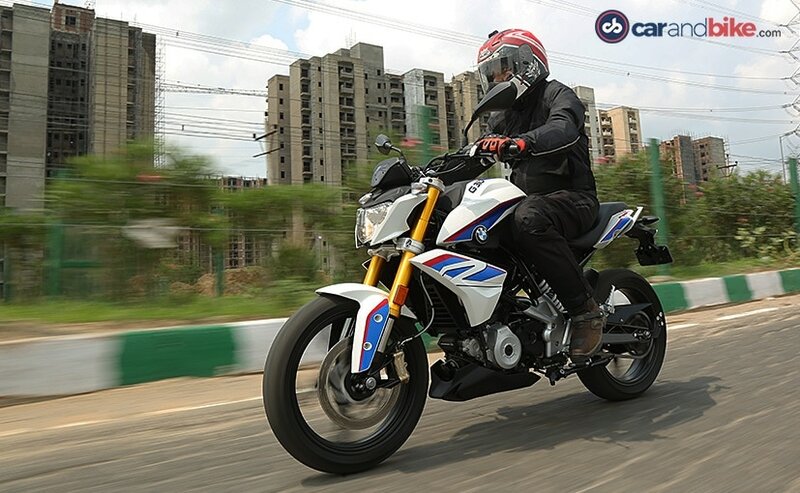 It's got lively performance, and for someone upgrading from a smaller motorcycle, the BMW G 310 R will certainly live up to its expectations. The mid-range is strong and as you accelerate through the gears, right up to 7,000-7,500 rpm, it pulls cleanly and without drama. Hundred kilometres per hour arrives soon enough and it can cruise at 110-120 kmph all day long. The redline is rated at 10,500 rpm, and given a long road and an eager throttle hand, the G 310 R does rev past 9,000 rpm easily, but it's not happy sitting at high revs for too long. And then there are the vibes, not so much to make you feel buzzy all the time, but the engine does feel somewhat vibey, only smoothening out towards the top end. It pulls cleanly from low speeds if you work a few notches down on the six-speed gearbox, but the lower end of the revs isn't a happy place to be in. In fact, we ended up stalling the engine on more occasions than one, trying to pull from low speeds, even in second gear. It's not something we're unhappy about and most owners will get used to the engine's behaviour. But if it's outright performance you're looking for, to wake up that occasional hooligan streak in you, that's where the G 310 R leaves you wanting for a little more, a little extra. Handling for the most part is excellent. Although we didn't encounter too many corners on our brief test ride to really throw the bike around, it's taut, well-balanced and feels nimble on its feet, filtering through traffic or while tackling the maze of urban roads, stop lights and left-right turns. The compact size and upright riding position with comfortable and sporty ergonomics make the G 310 R dip easily into a turn. Just a slight nudge on the handlebar makes it change direction easily, and it remains planted even at triple digit speeds and beyond. 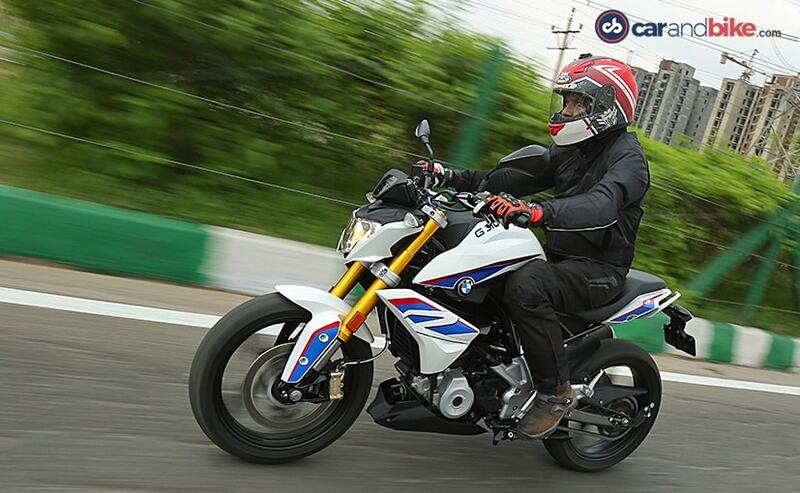 BMW claims 145 kmph top speed on the G 310 R, and it can achieve that, but it's not happy sitting at high revs for too long. 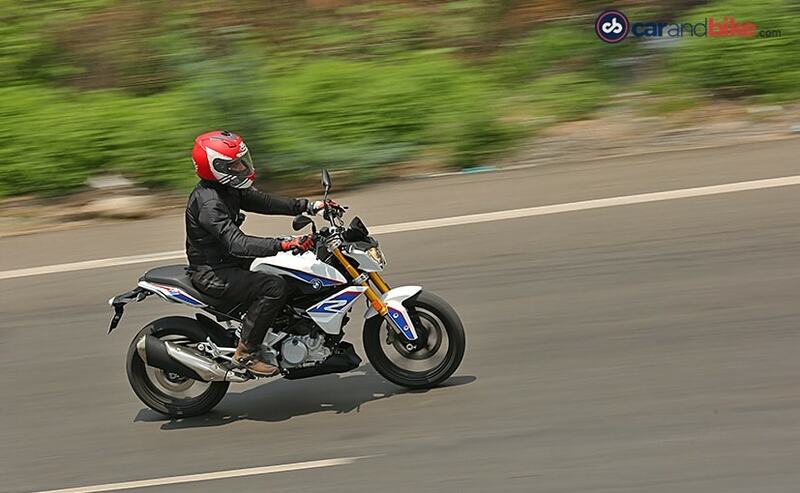 Ride quality is excellent and the slightly soft suspension gives a plush ride and sails over almost every kind of road surface we introduced the BMW G 310 R to. The rider doesn't get any sense of losing control, or the bike wallowing or feeling unsettled in any way, over any kind of surface. Potholes, broken patches, and even undulations on the shoulder of the road are despatched without a whimper. The gold-coloured 41 mm upside down front fork works as good as it looks, not only soaking up bumps, but providing a level of stability, even under hard braking, that is quite impressive. 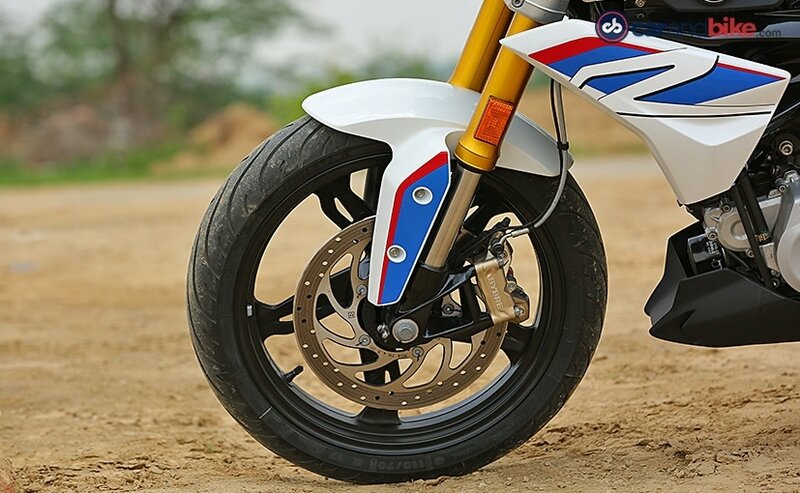 But the best part about the BMW G 310 R is the brakes. Both front and rear 17-inch wheels employ single disc set-ups from ByBre, Brembo's entry-level, made in India brand. 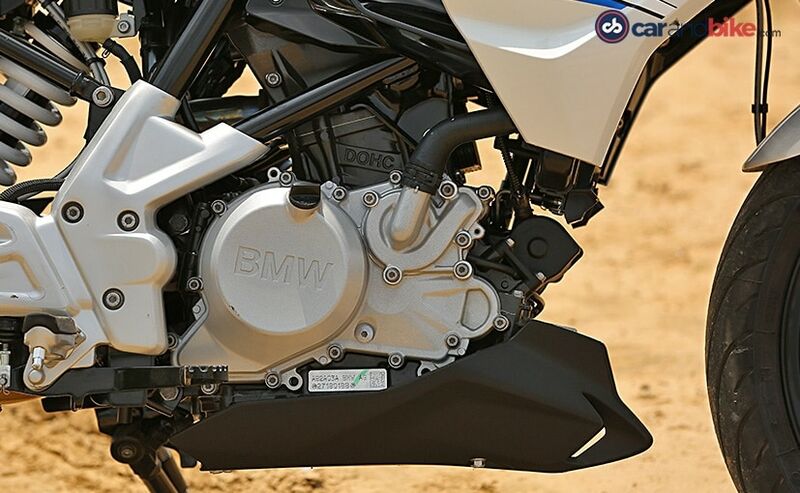 And the G 310 R comes with standard dual-channel ABS, with the 300 mm front disc squeezed by a four-piston caliper and the 240 mm rear disc gripped by a single-piston caliper. Together with the Michelin Pilot Street rubber, the brakes work like a dream and ensure sure-shot stopping power, without any drama, without any hairy moments, shaving speed instantly, even from high speeds. 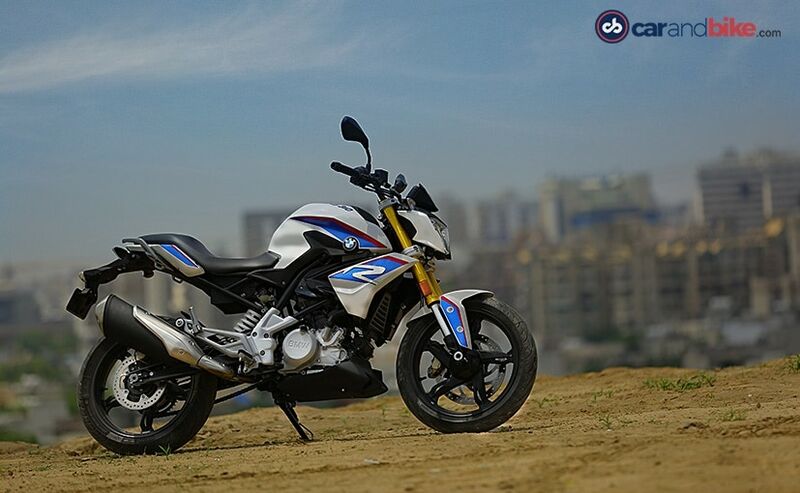 The BMW G 310 R certainly is a well-built, stylish naked street bike which is light, nimble and very likeable. What will probably decide how it does in India is its pricing. At ₹ 2.99 lakh (ex-showroom) it's not entirely affordable and comes at a premium. Compared to that, its immediate rival, the KTM 390 Duke, is priced at ₹ 2.39 lakh (ex-showroom), and it's got more power and some additional features as well. To top it all, Kawasaki India has jumped into this segment with the 2018 Kawasaki Ninja 300 at a very competitive ₹ 2.98 lakh (ex-showroom). What the Kawasaki offers is a full-faired sportbike with a more powerful parallel-twin engine and that now makes it even more difficult for the BMW G 310 R to justify its premium pricing. The BMW G 310 R is not an outright street hooligan if that's what you're expecting. But it does the job very well, and if it's the manageable and reliable roadster you're looking to upgrade to, by all means, go and take a test ride! It may not give you an adrenaline rush, but it's no slouch either, and will keep you happy on most occasions. Whether you bring it home or not, it will certainly have you thinking about it, long after that first ride!